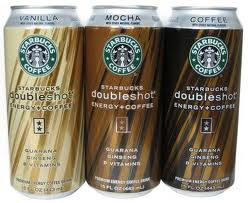 I live on these Starbucks DoubleShot drinks! I was SO happy when I found this coupon for Buy One Get One Free Starbucks DoubleShot Energy + Coffee Drinks. The coupons are through SmartSource so you can print out two. They expire 10/31/10. They are also offering business cards, but you have to choose a silly title to put on them. I would order them anyways. Who knows? You may receive a coupon.